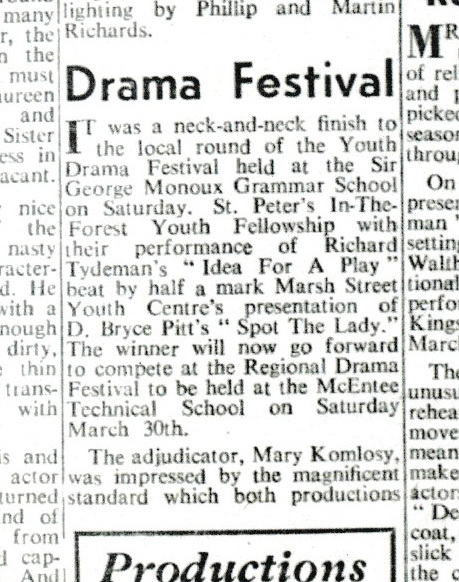 The reprise of ‘Spot The Lady’ took place at The Sir George Monoux Grammar School as part of the Walthamstow Youth Drama Festival – with the MDC being beaten into second place by a mere half of one point – yes, you read correctly – ‘a mere half of one point’ – as confirmed in the subsequent Guardian Newspaper Report shown below! Perhaps the judges may have just slightly underscored the beauty of a play written completely in rhyming couplets! Regrettably no recounts were allowed in those days – nor have, at least as yet, any photographs been found of our narrow defeat. However, a copy of the original Festival programme has been unearthed and this lists the Markhouse cast – as reproduced below. 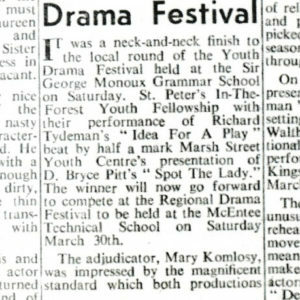 The progamme also shows that the other youth groups involved were Athan Boys Club,with a play called ‘The Crimson Coconut by Ian Hay (of Baa Baa Black Sheep fame) and St Peter’s in the Forest Youth Fellowship – with their play being ‘An Idea for a Play’ by Richard Tydeman – again an authour much ‘used’ by ourselves! 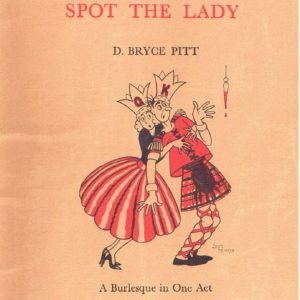 An example of ‘Spot The Lady’ rhyming couplets! 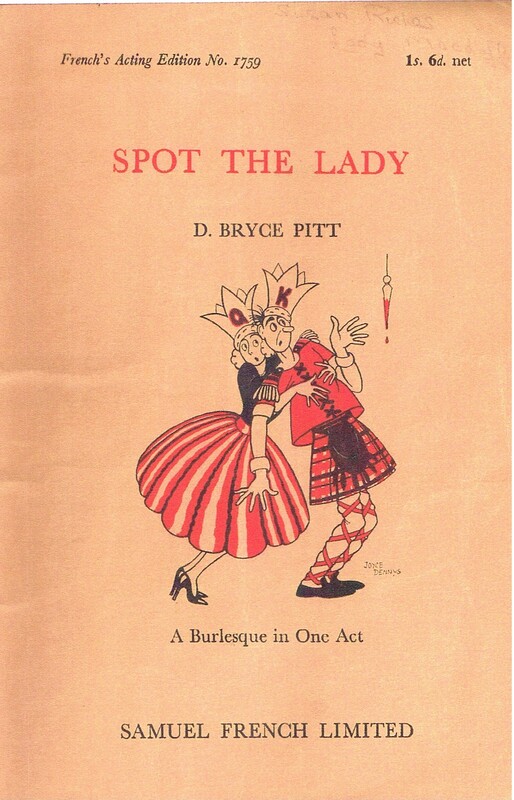 The action of ‘Spot The Lady’ takes place in the Inner Hall of Glamis Castle, Scotland, early in the 11th Century. It is here that Macbeth gives his following murderous instructions to Butch – who has just ‘driven in’ to the stage – via Maxine’s ‘foot powered’ scooter! !